Come in and we can help prevent a problem becoming a crisis. Available to anyone in Reading who needs housing or homelessness-related advice. You could be sleeping on a friend’s sofa, not sure how to find accommodation, worried about rent, have landlord problems, need benefit advice or help with drug or alcohol misuse. Our friendly trained team will listen and give individual, confidential support. They can help with form filling, provide access to a computer and telephone and help you take control and resolve your issues. You don’t need to be referred. Just come along – the service is totally confidential. Last year we provided advice, guidance and support to over 600 people. 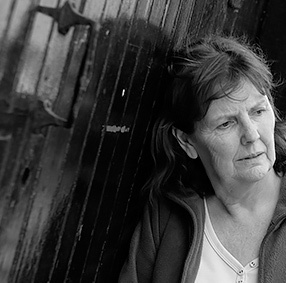 Janice’s* benefits were stopped when she didn’t go to the job centre on the day of her brother’s funeral. She literally had no money to buy food. When she came to the Drop-in, Chris and Sarah were able to intervene. They called the job centre and helped to get her Jobseeker’s Allowance reinstated. Many of the people we help don’t have the confidence to challenge decisions. If Launchpad are able to get involved we can often help sort out problems quickly. Numerous people who come to the Drop-in worry they are going to end up sleeping rough as they are sofa-surfing, relying on the goodwill of friends night after night. We’re able to guide them through the process of being officially verified as homeless so they can then get appropriate help. Launchpad can also recommend friendly Reading landlords. People who visit the Drop-in for advice are very diverse. Some are very articulate but not aware of their options and the housing process. Some are aware of their options but don’t have the confidence or skills to do something about it. Most local authority forms are online now. For example, to register for Jobseekers Allowance (JSA), you need to be IT literate. When people don’t have the IT skills or equipment to access the information they need to help themselves, we can help. We have access to a phone, computer and the support of volunteers.